(English) You won’t believe these places are hostels! 11 11UTC junho 11UTC 2014 10:27 10Wed, 11 Jun 2014 10:27:29 +000029. Also interesting, The goods wagons at Station Square, Sydney. & A former prison in Ljubljana. 16 16UTC junho 16UTC 2014 08:32 08Mon, 16 Jun 2014 08:32:52 +000052. Does it really exist the hostel on a plane?? or a Boat ?? !! that takes you to nice places?? !! what are the prices ? 16 16UTC junho 16UTC 2014 15:30 03Mon, 16 Jun 2014 15:30:24 +000024. 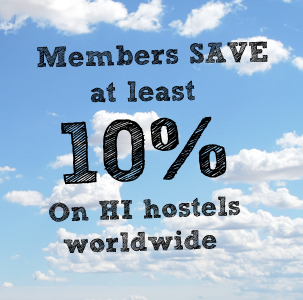 You can find the prices on the hostel pages. 11 11UTC julho 11UTC 2014 06:51 06Fri, 11 Jul 2014 06:51:09 +000009. Stockholm it was really Eunice unusual and very nice accommodation too. 11 11UTC agosto 11UTC 2014 22:26 10Mon, 11 Aug 2014 22:26:51 +000051. 11 11UTC agosto 11UTC 2014 22:28 10Mon, 11 Aug 2014 22:28:02 +000002. 20 20UTC agosto 20UTC 2014 14:23 02Wed, 20 Aug 2014 14:23:14 +000014.